A simpler, faster installation and a better, more stable fit between the overlay and the key – the new design improved Locky in every aspect! The concept of Locky’s design came full circle. The initial idea, which was technically undoable a year ago, is now implemented and works better than we had ever thought. It proves that many technical barriers which seem impossible to overcome are only a matter of proper experience and hard work. The first idea for Locky dates back to June 2016. For many months, we were trying to figure out the simplest, most user-friendly design, and the biggest challenge was how to mount every key in the Locky overlay in a fast and easy way. There are so many different types of keys, and finding a universal solution was a problem that no producer had ever solved before. We instantly thought of an adapter that you could put on your key and in a „docking station”. But creating it in a way that would suit any key, so that you could easily mount the key with one simple action, was really difficult to figure out. 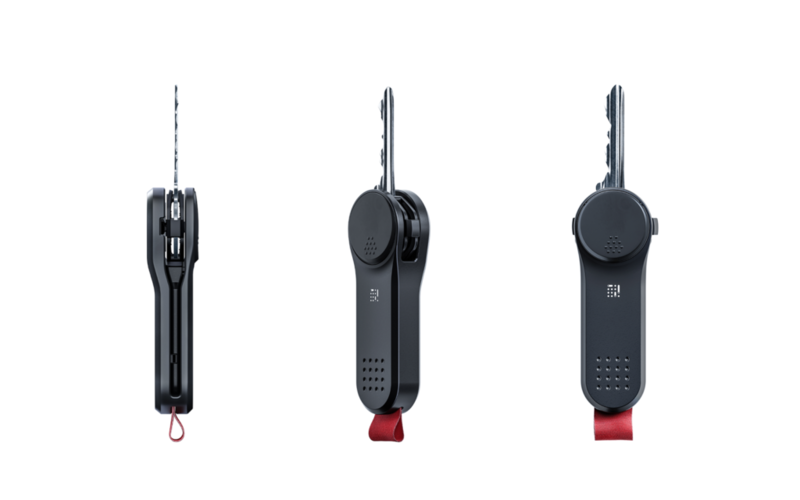 So, we settled on a solution which required screwing the key into the device, just like in key organizers. It was quite easy and solved the problem for most of the key types. With this design, we launched our Kickstarter campaign. But there is always a „but”. 😉 What was still grinding our gears was that one needed a screwdriver to install our overlay on a key… From the very beginning, we wanted the whole process to be just a swift, simple gesture. Additionally, after the campaign’s success, we received many questions regarding Locky’s compatibility with our backers’ keys. The vast majority of them was compatible, BUT (there it is!) some keys were very rare, irregular… For Locky, the most problematic were the ones with the bow on the side instead of in the middle, which made it impossible for the key to be mounted in the overlay. We couldn’t imagine sending people who generously supported us a device that wouldn’t work for them, so we accepted the challenge and decided to rethink the adapter-idea which we started from. At this point we had much more experience, contacts, and possibilities. And as it turned out, enough to make it work! In the end, we are very happy that we struggled, that we were up all nights to get Locky ;), and that we made a bold decision to redesign the device shortly before mass production. It was worth it, because now Locky is an even more universal solution with a super low entry threshold and the easiest installation system possible, one of its kind. 🙂 Unless you close your door with a chain, it will work for you flawlessly!